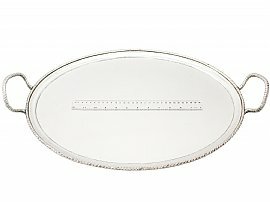 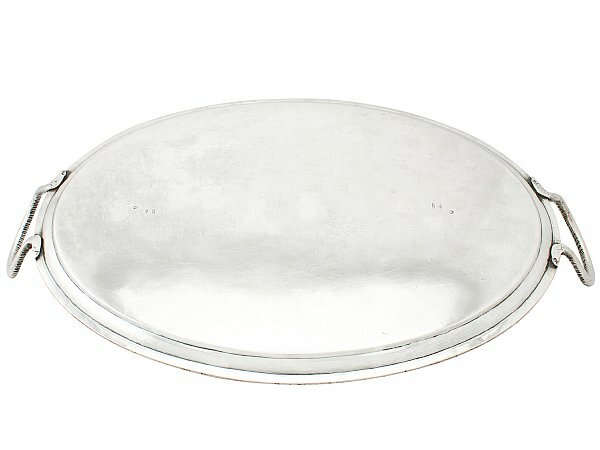 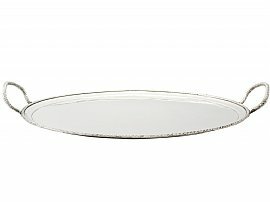 This exceptional antique Italian silver tea tray has a plain oval form. The surface of this Italian tray is plain and unembellished. 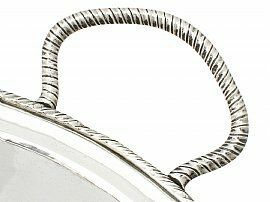 The raised rounded border is ornamented with fine and impressive applied rope twist decoration to the rim. 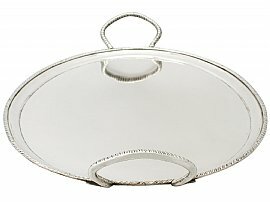 The tray is fitted with a pair of shaped silver handles, embellished with further rope twist ornamentation. The reverse terminals of the handles feature the original, function rivets which sit flush to the surface. This impressive example of Italian silverware has a very good patination*. 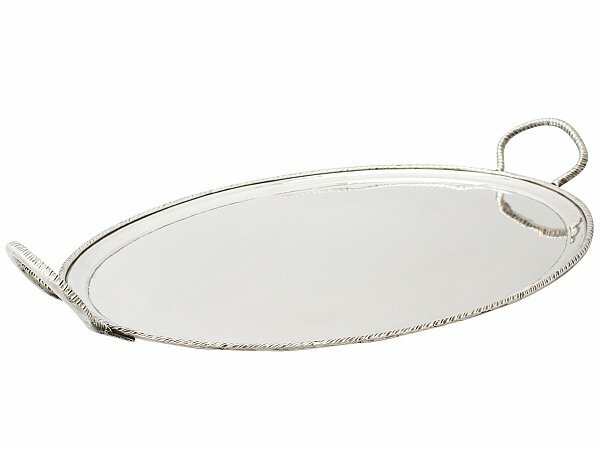 This antique Italian tray is a very good gauge of silver, fine quality and in excellent presentation condition, in keeping with age and type. 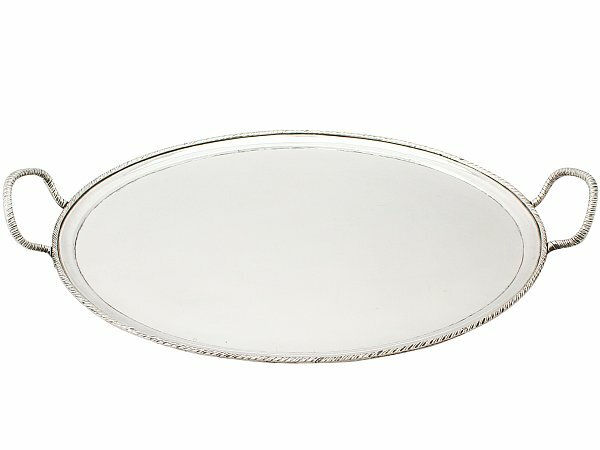 There are some natural fire marks to the underside and minor surface blemishes to the surface of the tray, as to be expected with such an original example. 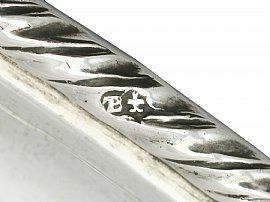 The applied decoration is all sharp. 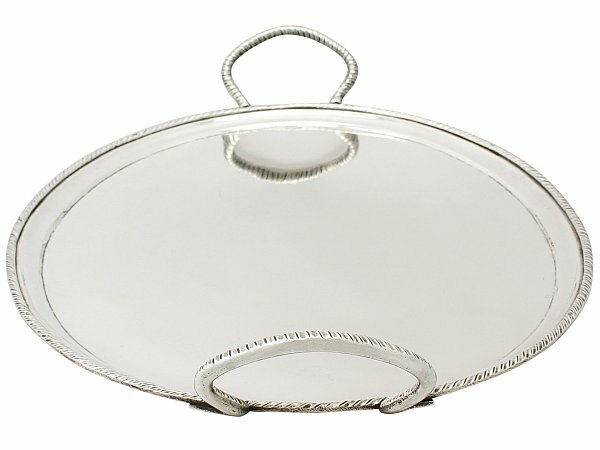 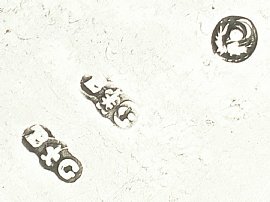 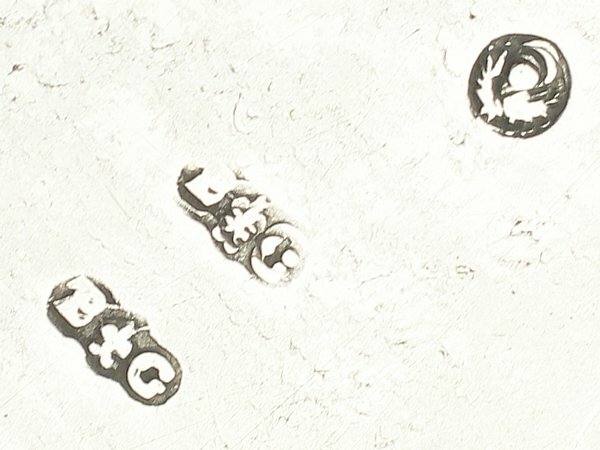 The Italian hallmarks struck to the underside of the tray, in multiple groups to the rim and underside of the handles are all very clear. 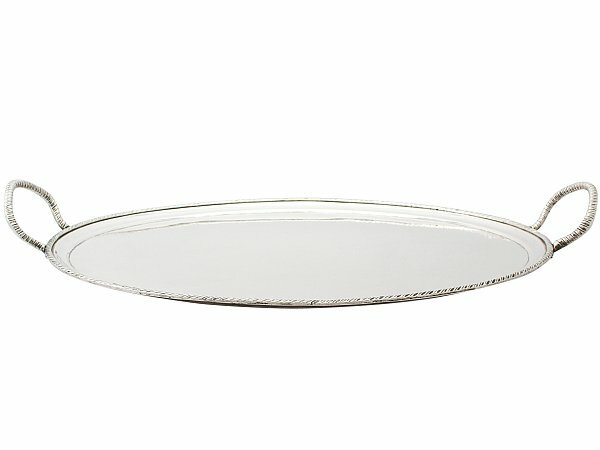 Height to top of handle 8cm/3.1"